Veteran emergency managers will tell you, nothing enhances the response effort quite like effective interagency cooperation. As a collective, cooperating partner agencies can achieve more than any one agency alone. And by pooling their resources, agencies further resource development and deployment goals, especially in a large-scale disaster situation. The rub is: it’s just not that simple. 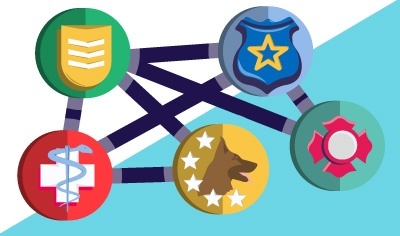 Interoperability – the ability of first responders, emergency managers, government agencies, and other public safety organizations to work well with each other – doesn’t happen without preplanning. And that goes double for one of the most crucial vectors of interoperability, integration of information management systems. That’s why created this guide to achieving interoperability in information management. The paper walks you through some of the thorniest challenges so as to ensure effective interagency cooperation in largescale as well as day-to-day emergencies.